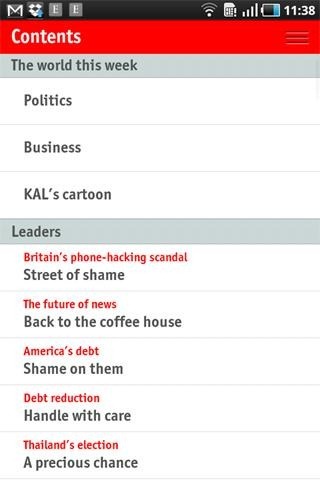 UK based news publication The Economist released its official Android app into the Market today, bringing all of the features of the magazine to your handset. 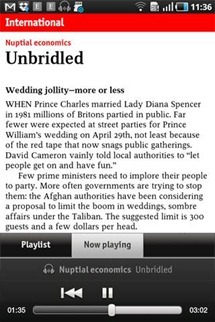 This app differs a bit from other publication based apps, as the download is free, and offers free access to editor's highlights - no subscription required. Naturally, if you are already a subscriber, you can access full cover-to-cover versions of the magazine, download them for offline viewing, switch between reading and listening, and access/download pervious issues. 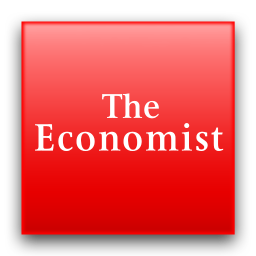 The Economist app also utilizes in-app purchases for people who only want occasional access. If you see an edition of the mag that you're interested in, simply grab your device and buy it - no need to buy a full subscription. If you later decide that you want a full subscription, you can buy directly from within the app, too. 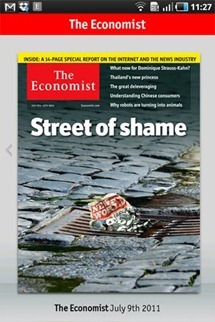 The Economist is available now in the Android Market.